Successfully Added Power Disk USB Watch 512MB, High transfer speed & large capacity to your Shopping Cart. 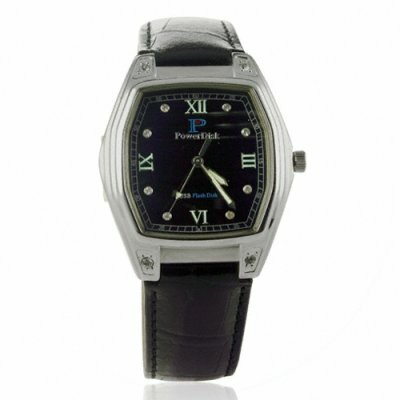 This attractive watch has 512 MB of high speed flash memory built in, perfect for saving data while on the go. A black genuine leather strap and black face with roman numerals hide the true potential of this super modern timepiece. The body is crafted in matte aluminum with some chrome detailing. Perfect for storing secret documents! Always searching for that cumbersome flash drive? You'll never worry with this inexpensive flash drive watch. Available now direct to you at a brilliant wholesale price from Chinavasion.. Attractive Packaging -suitable as gift.